ITS Ukraine is a non-for-profit, non-governmental organization that was established to support implementation of ITS sytems in Ukraine and inregration of Ukrainian ITS companies to world markets. We are sure that deployment of ITS brings economic value, reduces environmental impact and makes travel safer and easier for everyone. Ian Bearder co-founded ITS Ukraine in 2015 to promote intelligent transport systems in Ukraine and to support Ukraine’s small but talented domestic ITS producers. Ian studied Software Engineering Management and is owner and director of Veedoo Ltd, a UK-based digital services company. 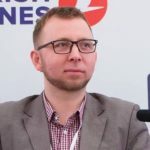 For the past two years Ian has worked at ERTICO – ITS Europe and is determined that Ukraine should join the international ITS community and benefit from the rapid advances in transport technology. 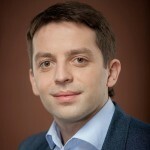 Oleksandr Ruzhytskyi is a lawyer at Everlegal law firm and co-founder of ITS Ukraine. Originally he is from Lviv in Western Ukraine. Oleksandr has provided legal support to large scale infrastructure projects, he also worked as a transport manager at the UEFA Euro 2012 football championship. 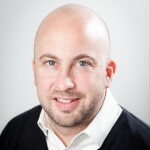 Viktor Zagreba holds BA from Kyiv International University and a Master’s degree in Public Policy from the University of Maryland, USA, where he studied as a Fulbright scholar in 2011-2013. 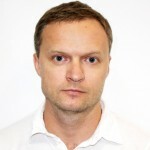 Viktor is a co-founder of the Ukrainian firm Urban Consulting Group, active member of several road safety NGOs and initiatives, and Advisor to the Minister of Infrastructure. 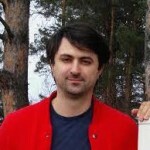 Nazar Shymone-Davyda is the founder the Tesla Club Ukraine (tesla-club.com.ua). In 2014 Tesla Club Ukraine with it’s main partner OKKO and other partners opened more than 40 free electric-vehicle charging stations across Ukraine. Mr. Shymone-Davyda holds bachelor in law and art and is currently for a Masters Degree in Innovative Management. Nazar also works towards the abolition of taxes for the import and sale of electric vehicles in Ukraine. Hanna holds an MA in English Language and Literature, having graduated from Lviv Ivan Franko National University. 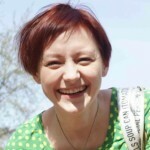 She is a freelance translator and teacher of Business English and English for IT based in Lviv, Ukraine. Hanna is cooperating with a number of Ukrainian publishing houses and also coordinates Ukrainian translations of TED talks. Originally from Dnipropetrovsk in central Ukraine, Roman is a graphic designer and digital content specialist. He is responsible for our media and communications activities. Originally from Kyiv. 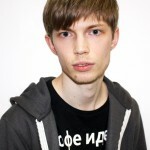 Vladimir is responsible for technical support and software developing.